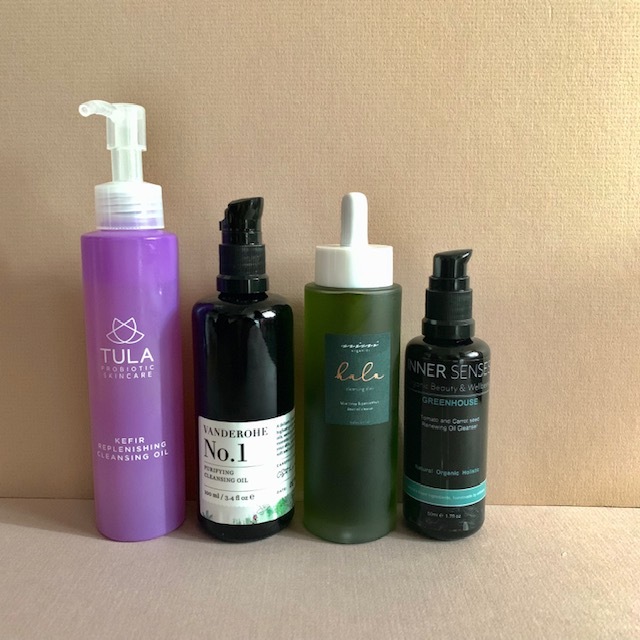 Ooh I love a cleansing oil especially a really effective one, so with some of the new ones that have come to my attention, it felt time to do another review ….a reboot. Each of these 4 oils is notable for their uniqueness and cleansing ability, plus they are suitable for all skin types. They are all cruelty-free, free from nasties and most of them are organic… so the choice is yours! Aromatherapy brand ‘Inner Senses’ just keep launching fabulous new products! One of their latest is this Greenhouse Tomato and carrot seed cleansing oil and we’ve been loving it. This is a unique & beautiful golden colour and smells very green, earthy and refreshing. It smells like freshly mown grass, which we love for Spring! You just gently massage 4-6 pumps into the skin, leaving it to soak for a minute or two and enjoy the scent. Then you soak the face cloth in hand-hot water, wring out, and place on the face leaving for a few moments before gently wiping away the oil in downward/outward motions, taking care not to drag around the delicate eye area. The oil feels very silky on the skin. You’re left feeling refreshed and with a nice glow. Carrot infused Jojoba oil (infused in-house): The Jojoba oil has anti-inflammatory properties and is very moisturising. It’s a great base oil for this sort of product. The Carrot Seed Oil is high in beta-carotene, which is a powerful antioxidant and will help protect your skin from environmental stressors. Camellia seed oil: A rich source of Palmistic and Omega-6 Linoleic fatty acids, as well as numerous anti-ageing polyphenol antioxidants. Tomato seed oil: supports regeneration of skin cells, improves elasticity, reduces the appearance of fine lines and wrinkles, evens the skin tone. Avocado oil: rich in fatty acids and is excellent for moisturizing the skin. Safflower oil: prevents dryness and roughness and removes dirt and oil. 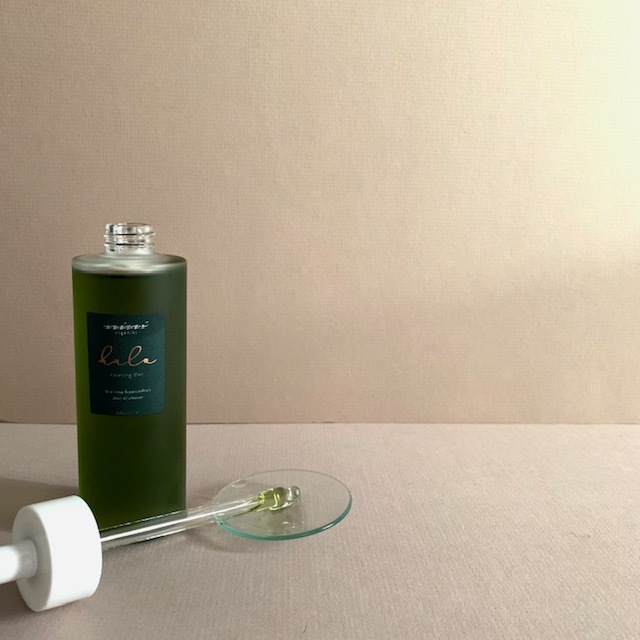 This is a cleansing oil that caught my eye on Instagram- I’m absolutely not embarrassed to say that I was initially seduced by the look of it…the gorgeous green oil encased in a sleek glass bottle ready to be photographed like all of the products that Nini Organics have. Thankfully I managed to get my hands on one and even better still is the fact that it’s more than a pretty face… it’s a fabulously effective cleansing oil. The way that it cleanses my combination skin, leaving it deeply cleansed and hydrated at the same time. 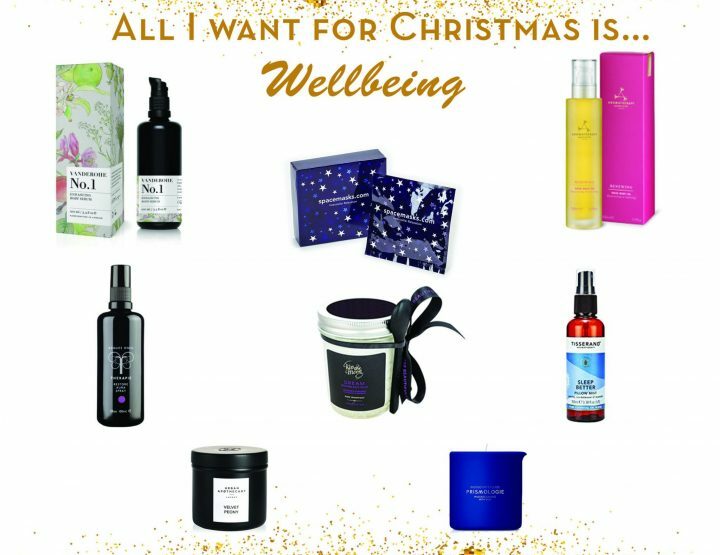 Then there’s the fragrance which encourages mindful cleansing ….there are only a handful of oils that tick this particularly important box. The ingredients that are great at cleansing, balancing and hydrating. The brand prides itself on being natural and organic and they make a great effort to source only the purest ingredients. 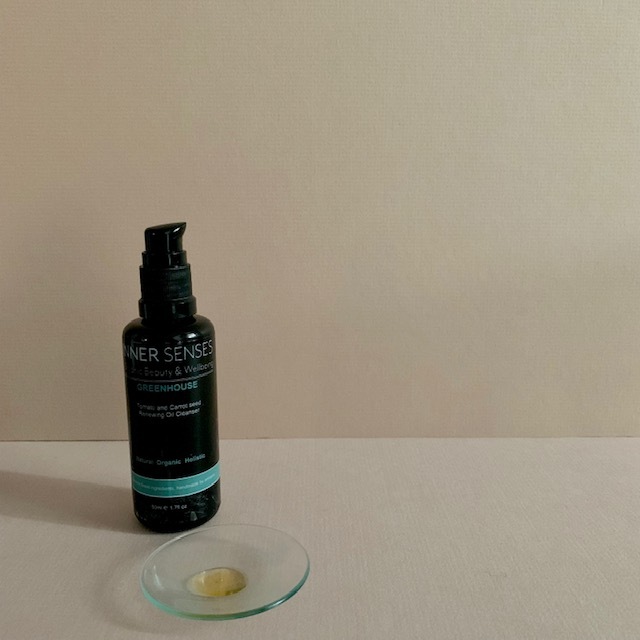 Organic cold pressed – a light moisturiser for older skin. 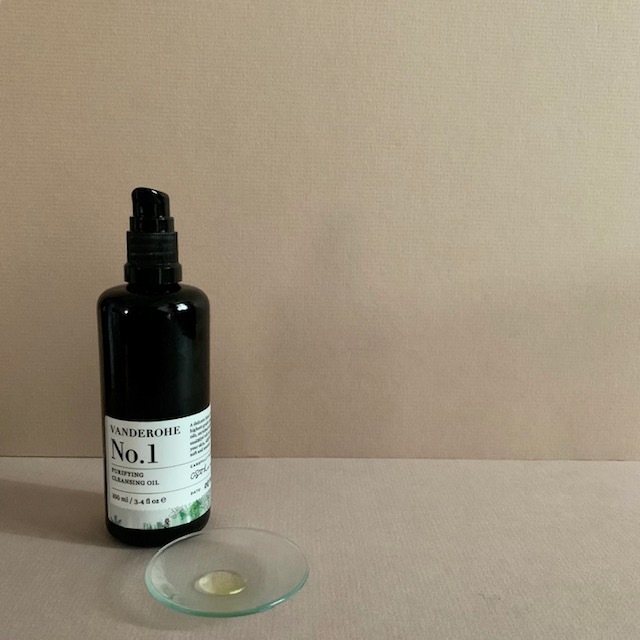 This unique Cleansing oil is not about fragrance or a sensory mindful cleansing …it’s all about probiotics. As the name states this contains Kefir a probiotic superfood that when taken internally is a powerful gut health booster and in skincare helps to calm the skin, reinforce the skin barrier and add moisture. Tula are specialists at probiotic skincare and this cleansing oil is one of two cleansers that they offer. This oil is lush and silky, it feels lovely on the skin. It cleans deeply and is at the same time hydrating and calming. Kefir Hydro Complex 4 powerful strains of probiotics sourced from kefir provide exceptional deep hydration and calm skin. Arctic Winged Kelp helps promote elasticity, radiance and firmness. Rice Bran Oil is rich in Vitamin E and fatty acids leaving skin soft and velvety. 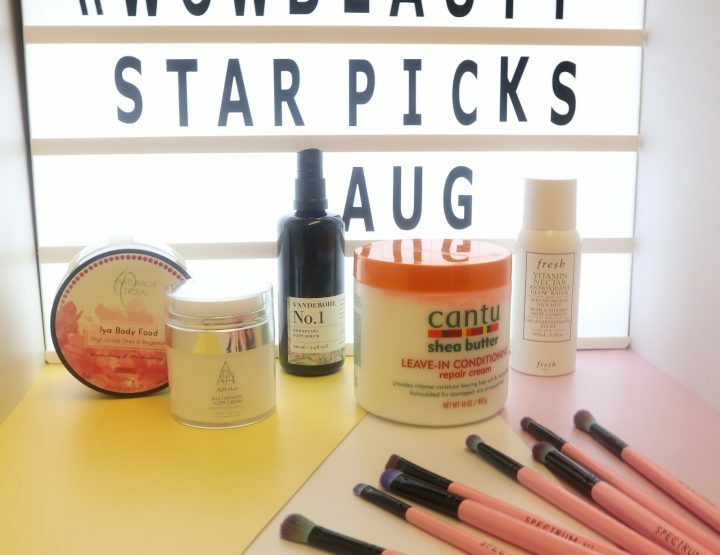 Call me biased if you like but I am totally addicted to this brand…and every time Olivia puts something new out I find myself obsessing about getting to try it. So when this cleansing oil came out I couldn’t wait to get my hands on it. A lot of time, thought and energy goes into Vanderohe products and it shows. There is a particular Vanderohe fragrance that you find yourself craving ( I first experienced it with the now cult facial serum… it’s so addictive) and now with the cleansing oil you get an even longer sensory boosting experience. Well everything. My skin loves this cleansing oil, it cleanses, it purifies, it leaves my skin alive and radiant. I never use this if I’m in a hurry …this is for mindful cleansing ….you want to savour the fragrance and the texture. Then there are the ingredients that have been selected with love to do the job of delivering a deep purifying cleanse, while soothing the skin and mind. Safflower oil, Sweet Almond oil, Lavender oil, Natural Vitamin E, Rose Geranium oil, Eucalyptus oil, Neroli oil, Peppermint oil.